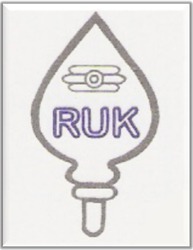 Established in the year 1996, we, “Rukmani Engineering Works”, are an ISO 9001:2008 certified firm that is engaged in manufacturing, supplying and exporting a wide array of Steel, Nickel Base Alloy, Engineering & Automotive Castings. In addition to this, we offer Industrial Valves, Pump & Special Castings. Also we are check valve casting suppliers, heat resistant steel casting, Stainless Steel Castings Supplier and many more. All our offered products are manufactured using high-grade material that is sourced from most trusted and reliable vendors of market with the aid of our sourcing agents. These products are appreciated by customers for their corrosion resistance, dimensional accuracy, sturdiness, fine finishing and high tensile strength. We have established a multifaceted infrastructure facility at our premises for carrying out the business operations in a smooth manner. This facility is installed with latest machines and advanced technology that are essentially required in the manufacturing process. Also, we have employed competent professionals who help us in offering an impeccable array of products to clients. Post-production, these products are stringently inspected by experienced quality controllers on certain parameters so as to ensure their defect-free nature. Furthermore, our logistics personnel make sure that the consignments are delivered at clients' destination within the stipulated time-frame. Due to these reasons, we have built a vast customer-base across the globe and especially in the regions of Caribbean, East Europe, East Asia and Central America. Under the notable tutelage and constant motivation of our mentor, 'Mr. T. Radha Krishnan', we have consolidated our market position. His in-depth knowledge, vast industry experience and brilliant managerial skills have enabled us to carve an inexorable niche in the industry. Based at Coimbatore, we possess an ultra modern infrastructure that includes advanced technology and sophisticated machines. The unit is well equipped with upgraded machines that are essential for the smooth production of the castings different products. Our manufacturing unit covers a vast area of land with an installation capacity of 500 MT to meet the mounting demands of the clients. In addition, all our products are designed with the help of an in-house design unit which is well supplemented by the essential facilities and other software. Also, we assure that all our machines and process equipment are regularly upgraded for the smooth production process. We are expert in offering a durable range of various grades of steel and alloy steel raw castings, stainless steel castings, nickel base and special alloy castings that meet the demands of various application areas. 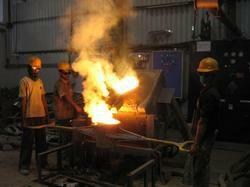 We make use of superior quality of steel and stainless steel raw materials in manufacturing our products. The exclusive range includes industrial valve castings & components, valve bodies and trim parts for butterfly valves, globe valves, ball valves, gate valves, swing check valves, control valves, knife edge gate valves, plug valves & strainers, industrial pump castings & components:pump body for centrifugal pumps, plunger pumps, helical screw pumps, pump bearing housings, open & close type impellers, sleeves, covers, stuffing box etc., earth moving, excavator, mining, automotive castings & spares, steel sprocket gears, tooth points and adopter, sprocket wheel, idler, link, mining tooth, axle top pads, hub etc., engineering castings & spares, hammers, refiner & hot dispersor discs, gears & wheel, pulleys, liners & liner plates, wearing plates, agitator blades, brackets, crank shafts, axle box housing, covers, brake shoe brackets, nozzles, sleeves, hydraulic cylinders, trunnions, eye rods, bases, turbo charger housing etc. We possess a team of highly competent and trained professionals who assist us in the fast and smooth production of the range. Our team has members such as designers, engineers, technocrats, administrators, quality controllers, sales and marketing professionals. With their rich experience and extensive knowledge about the business process, we are able to design the newest designs as per the international trend of the market. In addition, we possess a team of experts that are well versed with the dynamics of the market and accordingly are able to comprehend customers’ requirements.